Stop if you heard this before. Football is popular in the United States. The ratings and viewership prove it. Sports Media Watch has compiled the Top 50 most-watched sporting events of 2015 thus far and football games have grabbed 13 out of top 15 spots. The top non-football event on the list is the NCAA Men’s Basketball Championship between Duke and Wisconsin on CBS which is 12th. Then the FIFA Women’s World Cup USA-Japan final on Fox took 15th. As usual, the Super Bowl is the most-watched sporting event of this year or any other year. 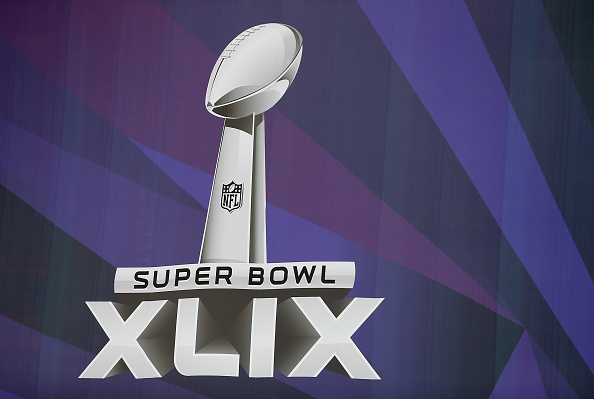 Super Bowl XLIX on NBC garnered a record 114.4 million viewers. That was followed by three NFC playoff games on Fox led by the NFC Championship with just under 50 million viewers. The most-watched college football game is the College Football Playoff National Championship Game ESPN megacast in seventh place, pitting Ohio State and Oregon totaling 34.15 million viewers on multiple Worldwide Leader networks. For the NBA, Game 6 of the Finals with Cleveland and Golden State on ABC is the most-watched for pro basketball in 16th place averaging 23.25 million viewers. You have to go to 23rd place for the first most-watched non-football or basketball event, the Belmont Stakes on NBC with American Pharoah winning the Triple Crown with 18.6 million viewers for the race portion of the program. The final round of The Masters with Jordan Spieth winning his first major golf tournament is in 29th place with 14.23 million viewers. This year’s Daytona 500 on Fox is the most-watched NASCAR event to-date with 13.36 million good for 30th place. Major League Baseball doesn’t hit the list until this week’s All-Star Game on Fox in 31st which had 10.9 million watching the event. Rounding out the Top 50 is NASCAR’s Sprint Cup Race in Las Vegas on Fox which had 7.74 million viewers. But as you can see, football dominates the list especially in the top ten and most likely will again when the final numbers for the year are compiled. The entire list can be seen at Sports Media Watch.